It's hard to believe this novel was written in the twenty-first century: it has the grace, wit, language, and incisive character exploration of Edith Wharton's work. Set in New England in the late nineteenth and early twentieth centuries, The House at Lobster Cove fictionalizes the true story of George Nixon Black, Jr. Shaken by the violence, hatred, and prejudice he observed in his youth and devastated by the loss of young friends to war and disease, Black was drawn to gentle souls and things of beauty. He encouraged young artists, traveled abroad, attended concerts, and most notably, he commissioned and built Kragsyde, a stunning shingle-style mansion on a rocky outcropping on Lobster Cove, Massachusetts. 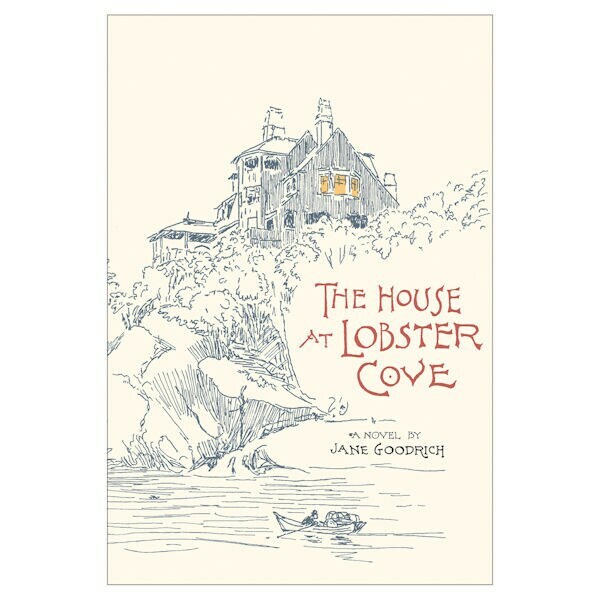 Jane Goodrich, who fell in love with renderings of Black's house, which was torn down in the 1920s, built an exact replica of Kragsyde on an island in Maine. She spent a decade researching Black's life and, as a result, has told his fascinating story with great care, especially in dealing with the difficulties of living as a gay man in previous centuries. The book is beautifully written—threads that unravel early on are woven together at the end. It's a joy to read. This title is part of our 2018 Bluestocking Book a Month Package.